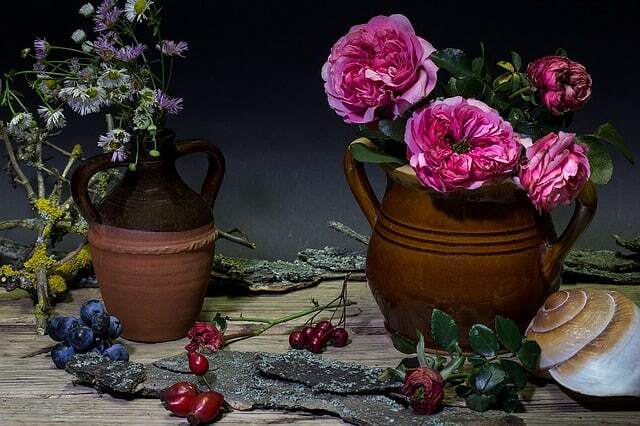 Now that summer is here, you want to capture the beauty of summer flowers both inside and outside. So Sisters Know Best came up with 5 ways to display flowers that you are going to love! They add color to your home and create a great background and conversation piece for BBQs and backyard events. These crafty and creative flower displays will certainly capture attention. Consignment shops are a great place to find old bottles, metal and glass containers or even clay pots. These beautiful containers can be “upcycled” to hold flowers in a variety of creative and ingenious ways. A new take on a classic idea. Find four or five matching or coordinating glass bottles. Fill them with sand, small stones or other decorative media. Attach the bottles to a piece of wood or fence rail with metal brackets. Add water and a single flower in each one. Or, you can make this last longer by using silk flowers instead. 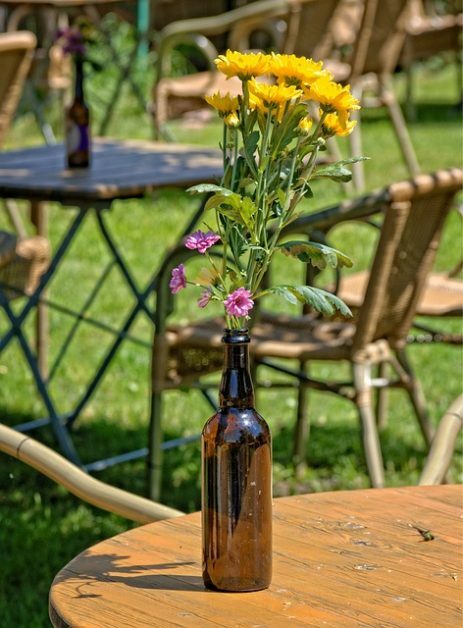 Tall bottles with a bouquet of fresh flowers from your garden also work great as a centerpiece on your picnic table or dining room table. If you find clear ones, you can paint the inside with transparent, water-proof paint for an added effect when the sun shines through. Hollow logs are common in New England. They make great habitats for insects and small lizards and snakes that call the forests home. If you can find one and get it home, it also makes a great planter! Fill it up with potting soil, add flowers and step back as others admire the effect. Clay pots are so much fun! Consignment shops often have rustic looking ones at incredibly affordable prices. Find some in neutral or coordinating colors for your home. 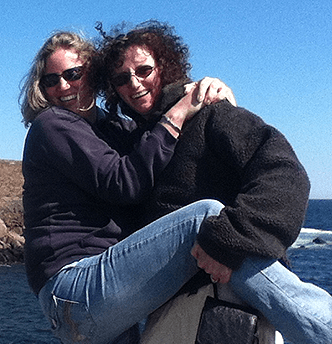 Just add water and wildflowers or forgo the water and use silk flowers for a look that will last all year. Broken clay pots work great too! 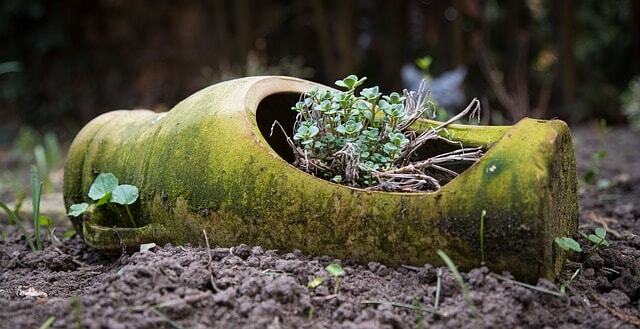 Use the broken area as the new “top.” Lay the clay pot on its side, bury it in some sand or decorative stone. Add potting soil to the opening created when the pot broke and flowers. 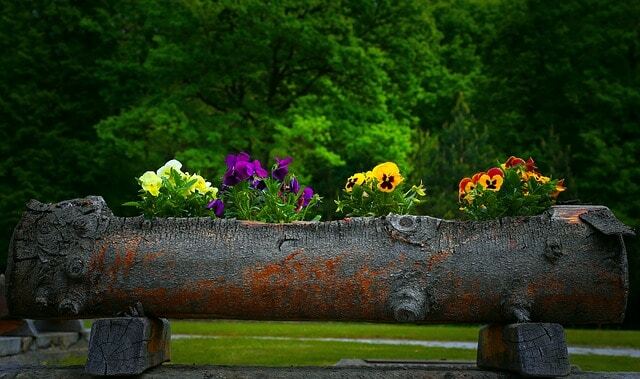 What was once likely to end up in the trash bin is now a gorgeous planter. Repurposing containers to display flowers is a great way to get crafty and capture the essence of summer. 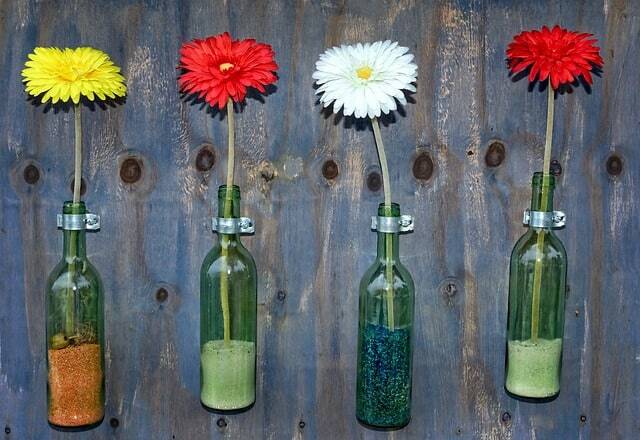 Try it and let us know what other ideas you have to display flowers.